Hypnosis Multiple Sclerosis has been used as an alternative therapy to manage pain, depression, and anxiety related to the diagnosis of multiple sclerosis. What is less known about this alternative therapy, hypnosis multiple sclerosis, is its use in working through the deeper cause, what’s known as the psychosocial factors, behind the onset, progression, and exacerbation of MS.
New Studies have begun to address, not only pain but other symptoms that effect the quality of life of those diagnosed with MS. One pilot study, Guided Imagery Improves Mood, Fatigue, and Quality of Life in Individuals With Multiple Sclerosis: An Exploratory Efficacy Trial of Healing Light Guided Imagery, shows promising results. 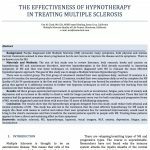 The Effectiveness of Hypnotherapy in Treating Multiple Sclerosis. This case study, the result of 2 1/2 years of our founder Eva M Clark’s work with 24 volunteers, shows that hypnotherapy may provide relief of both physical and mental symptoms related to MS, and increase patient’s quality of life. The study determined that the most effective hypnotherapy treatment was that which directly addressed the psychosocial factors behind MS. The study shows cognitive function increased from 65% to 95%, energy from 30% to 60%, and pain improved from 35% to 50%. Overall the physical health composite score improved from 45% to 60% and the mental health composite score from 50% to 80%. 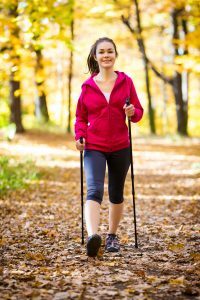 All participants, both RRMS and PPMS forms of MS, show improvements in both symptoms and quality of life. This study was used to design a protocol to work through the psychosocial factors of MS – Multiple Sclerosis Hypnotherapy Program. The Program is an alternative therapy that focuses on transforming the mental patterns present in people with MS so that their response to life and stressors is more robust. Apart from managing the symptoms of multiple sclerosis, hypnotherapy can be used to heal the deeper cause of the onset and exacerbation of MS, what in integrative and functional medicine is referred to as the psychosocial factors. Healing the cause creates more lasting improvements. MINDbasedHealing’s mission is to provide education to the public on the psychosocial factors of disease and disorders and provide advanced training to hypnotherapists and psychotherapists to address those factors and provide lasting relief.